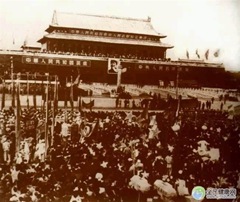 October 1st, 1949 founding ceremony of China, marked the establishment of The People’s Republic of China, also started the journey of Chinese Communist Party to achieve political ideals and ambitions in mainland China. At that time there were 540 million people in Mainland imagining a spectacular new China, from intellectuals to ordinary people were in the fate of choosing between leaving and stay. For those who stayed, in the later decades all have gradually proved their original imagination with their destiny. 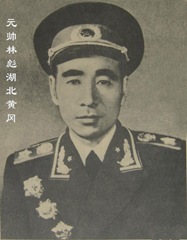 October 8th, 1950 the Central Committee of the Communist Party made a decision, issued the order to send Chinese volunteer army into North Korea. The People’s Republic of China has just barely established the foundation, but the Korean Peninsula was once again ignited with the flames of war. 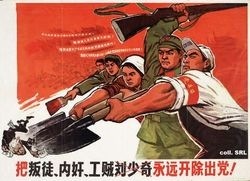 This “Hot War” in the middle of the “Cold War” after World War II had changed China’s development trajectory while everything was in desperate need of being started. It also had a profound effect on the situation in East Asia today. 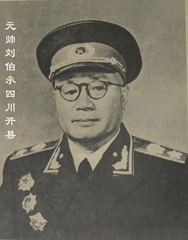 Counter-movement was because the Central Committee was under pressure from both at home and overseas, launched a political movement aimed at consolidating the new regime. 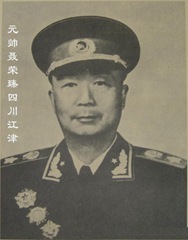 “Counter” movement and the land reform movement were the most important two major steps to establish and consolidate CPC’s dominant position in the urban and rural areas. The land reform of this year ensured farmers having fields to work on except for the Tibet region. Land reform overthrow landlords, a large number of peasants without land got them. It strengthened the new CPC regime and also laid the foundation for the socialism public ownership of land later. Because the new country was still on its weak footing, external help was blocked and internal production was not enough, led to food shortages. The central committee established a unified purchase and marketing system, which as a representative of the planned economy system. 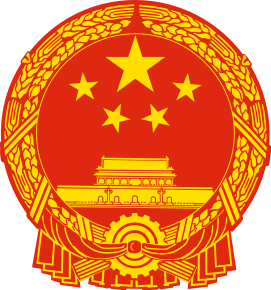 The 1954 Constitution of the People’s Republic of China was promulgated by the 1st National People’s Congress meeting in Beijing on September 20, 1954, apparently unanimously in favor. The 1954 Constitution defined national identities such as the national flag, emblem and the capital. 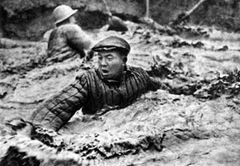 In recognition of distinguished war heroes, China first introduced the ranking system for military construction. At 17:00 on the September 27th 1955, ten were awarded the rank of Field Marshal at a ceremony. At the same time appointed 10 senior generals, 55 generals, 175 lieutenant generals and over 800 majors. 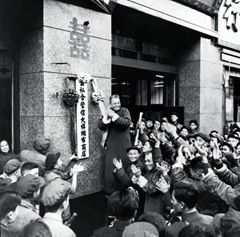 Join state-private ownership was launched in 1956, the principal form of state capitalism adopted during the socialist transformation of capitalist enterprises in China. It gaurateed state-owned enterprises absolutely dominated China’s economy, so that all industries which mattered to nation’s lifeline were all in government’s hands. It was not till the 1980s, with the reflection on the inefficiency of state-owned enterprises, private enterprises began to develop. 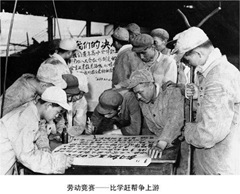 Having restored a viable economic base, the leadership under Mao Zedong, Zhou Enlai, and other revolutionary veterans was prepared to embark on an intensive program of industrial growth and socialization. For this purpose the administration adopted the Soviet economic model, based on state ownership in the modern sector, large collective units in agriculture, and centralized economic planning. The Soviet approach to economic development was manifested in the First Five-Year Plan (1953-57). 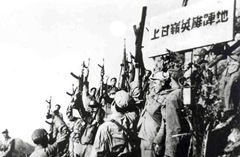 The Four Pests campaign was one of the first actions taken in the Great Leap Forward from 1958 to 1962. The four pests to be eliminated were rats, flies, mosquitoes, and sparrows. Sparrows were included on the list because they ate grain seeds, causing disruption to agriculture. It was decided that all the peasants in China should bang pots and pans and run around to make the sparrows fly away in fear. Sparrow nests were torn down, eggs were broken, and nestlings were killed. 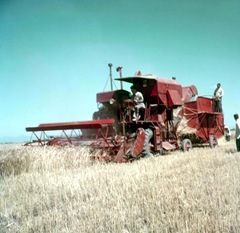 Initially, the campaign did improve the harvest. By April 1960 the National Academy of Science found that sparrows ate insects more than seeds. 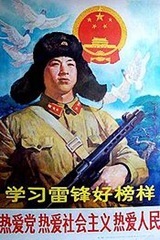 Mao declared "forget it" and ordered the end of the campaign against sparrows. By this time, however, it was too late. 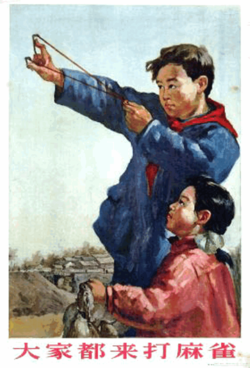 With no sparrows to eat them, locust populations ballooned, swarming the country and compounding the problems already caused by the Great Leap Forward and adverse weather conditions, leading to the Great Chinese Famine in which around 30 million people died of starvation. 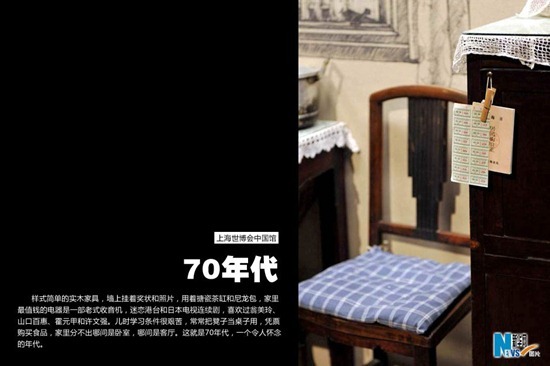 Discovered in 1959 by Wang Jinxi (known as ‘Iron man’ Wang, who led No. 1205 drilling team), this field has produced over 10 billion barrels (1.6 km³) of oil since production started in 1960. 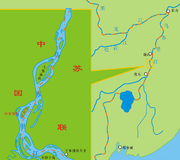 Daqing contained 16 billion barrels (2.5 km³) or 2.2 billion tons in the beginning; the remaining recoverable reserves are about 3.6 billion barrels (572,000,000 m³) or 500 million tons. The current production rate is about 1 million barrels (160,000 m³) per day, making it the fourth most productive oil field in the world. From being China’s teacher to China’s enemy, Sino-Soviet relation deteriorated was known as the biggest diplomatic event since 1949. Later China joint the United Sates formed anti-Soviet Union has also changed the geopolitics of Northeast Asia. 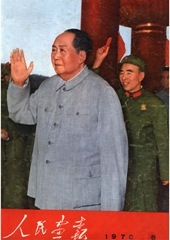 “Adjust 调整、Strengthen 巩固、Enrich 充实、Improve提高” The eight-character principle was seen as a major policy adjustment dealing with the disastrous consequences of the “Great Leap Forward”. The Sino-Indian War, also known as the Sino-Indian Border Conflict, was a war between China and India that occurred in 1962. 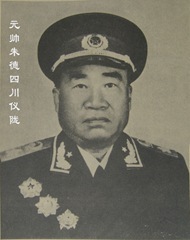 Lei Feng was characterized as a selfless and modest person who was devoted to the Communist Party, Chairman Mao Zedong, and the people of China. 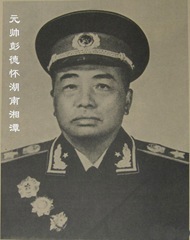 In the posthumous "Learn from Comrade Lei Feng" campaign, initiated by Mao in 1963, Lei become the symbol of nationwide propaganda; the youth of the country were indoctrinated to follow his example. 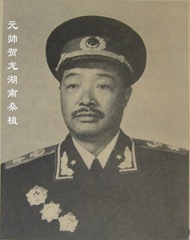 Learn from Dazhai in agriculture campaign was a campaign organized by Mao Zedong in the early 1960s. 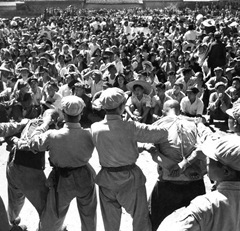 The campaign encouraged peasants from all over China to learn from the example of the farmers of DaZhai, Shanxi by practicing self-sacrifice and political activity. The third-line region is a national defense term that referred to the rear areas of the mainland in the early 1960s. 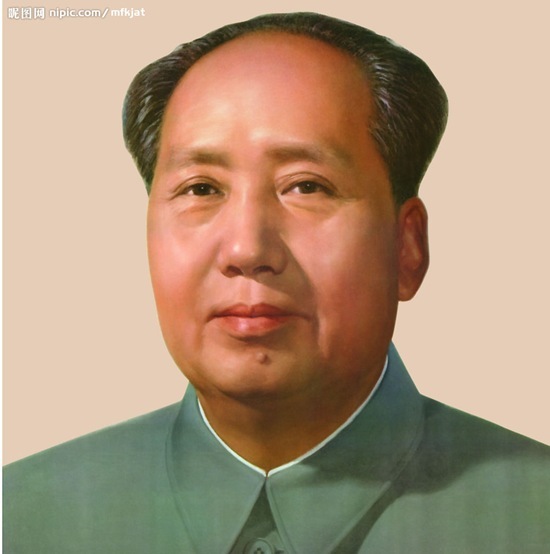 Mao Zedong poured in over 2000 billion yuan and 4 million workers, officials, intellects, soldiers and peasants started the development of these areas. 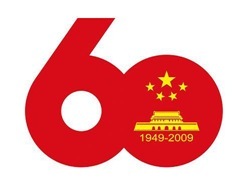 1966 marks the beginning of the Cultural Revolution, widespread social and political upheaval in China, resulting in nation-wide chaos and economic disarray. 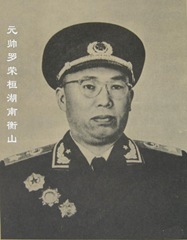 It was launched by Mao Zedong, on May 16, 1966, who alleged that "liberal bourgeois" elements were permeating the party and society at large who wanted to restore Capitalism. 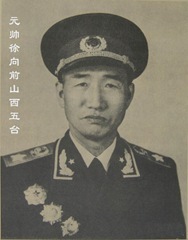 He insisted that these elements be removed through post-revolutionary class struggle by mobilizing the thoughts and actions of China’s youth, who formed Red Guards groups around the country. After a visit to China in January 1967, Kaunda dropped his objections to Chinese involvement. On September 6, 1967, an agreement was signed in Beijing by the three nations. China committed itself to building a railroad between Tanzania and Zambia, supplying an interest-free loan to be repaid over 30 years. 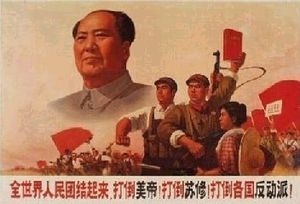 20 million educated youth and their large family members, youth, revolution, emotion, life and death, love and hate, “Down to the Countryside Movement” perhaps was the most emotional contemporary mainstream phrase at the time. 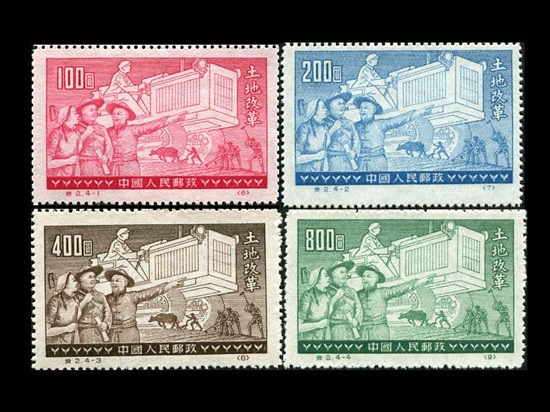 The Down to the Countryside Movement (literally "Up to the mountains and down to the villages") was a policy instituted in the People’s Republic of China in the late 1960s and early 1970s. 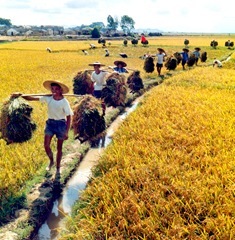 As a result of the anti-bourgeois thinking prevalent during the Cultural Revolution, Mao Zedong declared certain privileged urban youth would be sent to mountainous areas or farming villages, in order that they could learn from the workers and farmers there. 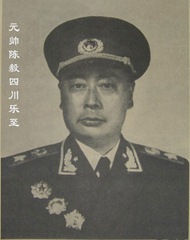 It was the subject of a territorial dispute between the Soviet Union and the PRC. 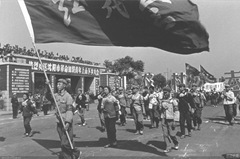 Battles were fought over Zhenbao Island by the Soviet Union and the PRC, with a considerable loss of life, during the Sino-Soviet border conflict of March 1969. 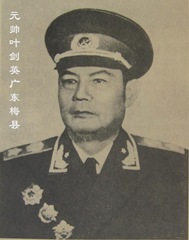 The conflict over Zhenbao raised concerns that it could ignite another World War until an initial resolution of the conflict in November, 1969. 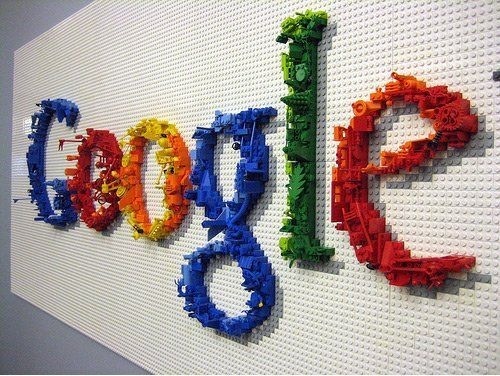 Hi, http://www.chinahush.com – da best. Keep it going! daily, whether with peers or other footballers.